When barbecue season slows down, we start looking forward to fall and holiday cooking. Before you dive into the fall season of cooking and baking, make sure your oven is clean and equipped for your next culinary adventure. Regular oven maintenance is critical to keeping your appliance operating efficiently and staying clean. 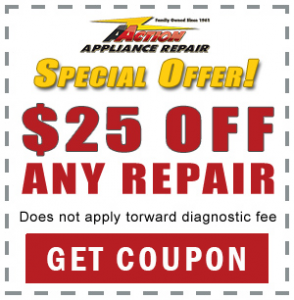 If you already know your oven is in need of repair service, let Action Appliance Repair take care of the rest. Follow these simple oven maintenance tips to ensure proper maintenance of your appliance. Regular oven maintenance will keep your appliance in good working condition for years to come. Regular cleaning of the door panel will help prevent food spillage from leaving stains. When food splatters are left untouched, the heat during operation of the oven bakes these spills into the glass, eventually staining the door and making your oven look old and worn. Keep the front panel, window, and door glass clean, using a heavy-duty degreaser when necessary. This easy oven maintenance will keep your oven looking sharp and make more in-depth cleaning a little easier. The Exterior Control Panel and knobs can be cleaned with soap or a light-duty cleaner. Be careful not to use abrasive pads or cleaners, as they may scratch off or wear the decals from the panel. Although you may be tempted to remove the knobs from the stove for cleaning, it is recommended to leave knobs in place. Clean carefully around them, but take care not to remove knobs to avoid damaging the electrical system within the stove. For a smooth electric cooktop, light cleaning may be done with vinegar spray and a paper towel or lint-free rag. For heavy cleaning, use a razor scraper for stubborn stuck on foods, then follow with a cooktop cleaner and protectant. For gas cooktops, a surface cleaner may be used to clean around the burners, being careful to avoid the heating elements. Do not use too much water- especially around the knobs! Water can drip inside and cause burner switches to short out. Burner covers and grates can be removed and washed with soapy water, or a non-abrasive pad/sponge and some Bar Keepers Friend or other grate cleaner. 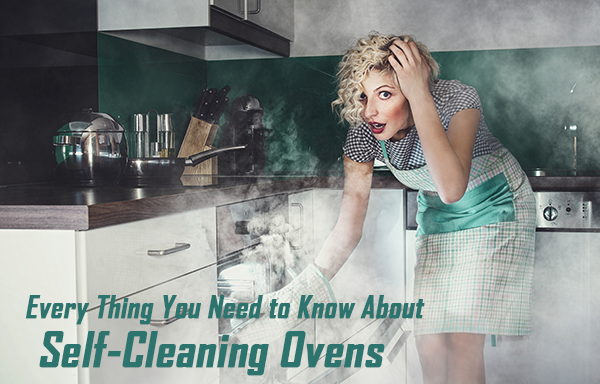 An important oven maintenance tip is to always clean up spills and messes on the interior of the oven as soon as possible, otherwise, they may smoke and can even catch fire. A thorough cleaning of the interior should be done 3-4 times per year, more often if you do a lot of oven cooking. Never use soaps or detergents on the inside of your oven. If your oven has a self-cleaning feature, carefully follow manufacturer instructions and only use recommended oven cleaners safe for the interior. Most often, racks should be removed during self-cleaning oven cycles and can be washed in the sink until the oven is cool again. The self-cleaning cycle usually takes a few hours. It’s a good idea to run this cycle well before any holiday cooking, as the extremely high temperature required can lead to failures. 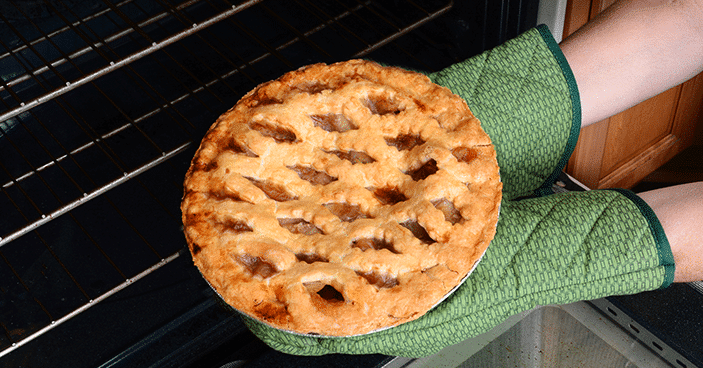 Learn more about self-clening oven cycles here. Check your owner’s manual to replace light bulbs. Most can be found easily and may be covered by some kind of glass or some protective cover. Most ovens use a basic 40-watt appliance bulb. One oven maintenance tip often overlooked is the gas line. Especially when the oven has gone through a move, there is a lot of movement and jarring of the appliance, which can lead to cracks and leaks in the gas line. Ordering a new gas line is an inexpensive investment to ensure the safety of the appliance, and can be quickly installed when the oven is being set up.